A Walt Disney World vacation is the ultimate theme park getaway for many families, but spending several days exploring this Florida fantasy land can severely stretch the most generous vacation budget. With some savvy research and effort, a few money saving ideas can really help. Being able to make the most out of every dollar spent will go a long way toward making your trip a magical getaway. The key to making the most of your budget and saving money will be based in large part on the amount of preparation done before you arrive. Tickets will most likely be your single largest expense once you arrive. Purchasing them ahead of time can offer substantial savings, but know what you want to do at the park is also important. Disney World offers a variety of ticketing choices that include single day, multi-day, park hopper, water park, and various combinations of these options. Take the time to look at the resort website to better understand what is available and right for your family. Purchase through authorized agencies: Magical Vacations Travel, and Magical Memory Planners, among others, are official resellers of Disney tickets. They usually have great prices and a variety of options that you will not be able to find elsewhere. You can enjoy substantial savings if you consider planning your entire vacation through one of these organizations. This can also help reduce your stress. Take advantage of membership clubs: AAA, AARP, Sam's Club, Costco, and BJ's often have ticket packages available at a good discount in addition to some complete vacations packages. Be sure to check for any limitations and restrictions. Consider travel packages: Purchase tickets as part of vacation package through your local travel agent. The savings are built in, particularly with multi-day, park hopper passes. Inquire about corporate discounts: The company you work for may have programs through the business that offer tickets. Check with you HR Department to see if they belong to WorkStride, Reward Gateway, Tickets at Work or WorkingAdvantage. Purchase tickets from hotels: Many area hotels sell Disney World tickets which include transportation to and from the parks. Be sure to check for any restrictions or limitations. Using a shuttle service can add up to substantial savings when you don't have to park on the property. 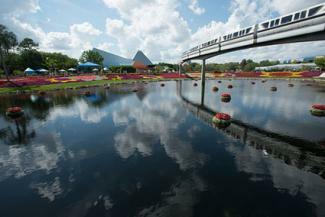 Once you are there, Disney World has free shuttle service to all parks and resorts. There are many places to stay in the area around Disney World, and you can save on various aspects of your vacation if you choose accommodations that offer extra amenities. Stay at a Disney resort hotel: If you book right, you will find that staying on the resort property can be as cost-effective as staying elsewhere. Resort hotels also offer free shuttle service to and from the parks. Consider off-property hotels: Most major chains are located either at Lake Buena Vista, Orlando or Kissimmee, and many hotels have kitchenettes, microwaves and/or refrigerators in the room. Keeping snacks, drinks and other items on hand can keep food costs down. If you have a loyalty membership at a particular hotel chain, consider using accumulated points to get a free night or a reduced rate. Marriott, Hilton, Starwood, and Choice Hotels, are just a few examples of hotels in the immediate area. Stay at a hotel that offers breakfast/other amenities: Having a good breakfast in the morning, particularly if it is included with your stay, can also help defray costs by getting everyone fueled before heading out. During the week, some of these hotels also offer evening get-togethers that feature some type of light meal and beverage. Most offer Wi-Fi so you can check emails and send out photos of your great vacation. Marriott Residence Inn, Embassy Suites, Hampton Inns, and Comfort Suites are all options in Lake Buena Vista. Stay at a timeshare: You can find timeshare deals through the Disney Vacation Club. This can be a good deal for families who visit various Disney destinations annually. One of the advantages of staying at a timeshare is that more people can occupy a single unit. Most timeshares have full kitchens where you can prepare meals, which is typically less expensive than dining out. You may want to rent a car if you plan to visit any attractions outside of the resort area. 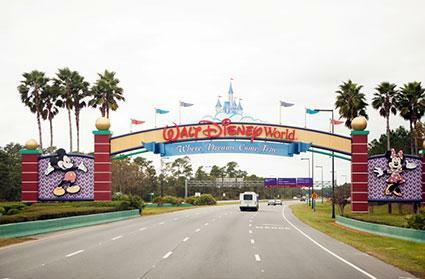 If your vacation is strictly at Disney World, you can easily avoid the expense of a rental car, fuel and parking. Use Disney's shuttle: If you stay at one of Disney's resort hotels, arrange for Mickey's Magical Express bus service from and to the airport. This is a complimentary service and a real added value. Hire a shuttle service: If you plan to stay at a hotel outside the resort, organize shuttle service from a reputable operator like Mears or SuperShuttle. Check for coupons to save a few dollars and look at the variety of options these services offer. If you have a larger group, it might be more cost-effective to order a private van for transportation to and from the airport. You may also be able to arrange additional services such as park transportation, so speak directly with the operators or ask your travel planner or agent to assist you. Hotels with shuttles: If you are not staying at a Disney resort property, look for hotels that offer their own complimentary shuttle service. Some let you make arrangements for departure and pickup times, but most have standardized schedules around which you can plan. Many hotels offer a complimentary shuttle for short runs like a trip to the grocery store. This can help you save on travel and dining costs. Before you go, take advantage of additional information and resources that will also help you save some vacation money. Get a vacation planning guide: Orlando and Kissimmee each offer free vacation guides which include discounts and deals around the area. These sites also offer many other helpful tips for getting the most out of your visit. Get tips from recent visitors: Sites like Mousesavers.com and Parents.com offer money-saving tips from a personal perspective. Buy gift cards at the store: If you shop at Target and have their REDcard, you can save 5% when buying Disney Gift Cards. You can use those cards toward almost any Disney purchase. Many other stores offer special discounts on their gift cards too, so keep apprised of those opportunities. Use credit card rewards options: Chase offers a Disney credit card that gives you the option of redeeming your points toward almost everything at Disney. You'll also have access to private card member Disney Character Meet and Greets, and you can save money on certain merchandise, specified dining options, and select guided tours of the park. Please note, there is an annual fee, but it's easily off-set by the money you'll save. Timing your trip naturally depends on your own availability, but if you can go during off-season, you can save money on your rooms, car rentals, and transportation. Even airfares may be better priced. A vacation planner or travel agent may also offer advice on how to take advantage of off-season timing. The smell of hot dogs and popcorn can be irresistible, but meals can get expensive. With thoughtful planning, you can enjoy what the parks offer without breaking the bank. Eat a good breakfast: Sometimes the excitement of going to the parks can be overwhelming, but eating a meal before you head out means you won't spend money on breakfast at Disney. Pack snacks: Disney will let you bring in food, so snack bars, fruit, and bagged sandwiches work well. Just be aware that no glassware of any type or items like knives are permitted inside the park. There is a thorough bag check prior to gate entry. Take water bottles: There are plenty of places to refill plastic water bottles. Think about bringing some single-serving drink mix, too, in lieu of pricey sodas. Share food: For example, you can divide a single meal into two portions, or you might consider purchasing two orders of fries to split between three or four people. Eat outside of the park: Take a break and go back to your room or to a restaurant outside of Disney World. The vacation planning guides often have coupons for area restaurants. Have lunch instead of dinner: If you want to have a nice meal in the park, consider lunch instead of dinner. The menus are often identical, but the prices can be substantially different. Consider Disney dining plans: If you purchase a Disney package, look into the dining plans. You can save a lot, depending on the plan you select, and your travel planner or agent can make reservations for you at restaurants that can be difficult to book. A special offering like Character Dining can be pricey, but it's far more affordable as part of the plan. Everyone loves souvenirs, but buying them can be expensive. If you plan right, you can make sure that everyone has something special to take away as a memory of your time together. Purchase souvenirs off-site: Consider looking for goodies at shops along International Drive or the Outlet Malls. Prices can be substantially lower when you shop off-site instead of in the park. Take photographs: Photos can be the best souvenirs, and they'll last far longer than a hat or T-shirt. You may want to purchase a Memory Maker package which gives you access to download digital photos from across all the parks. This includes use of the Disney photographers, ride photos and videos, dining photos, and even some special photos where Disney characters magically appear in your pictures. This program can be purchased ahead of your trip at a savings or included in your vacation package, and it offers the additional advantage of having everyone in all the photos, which can be a rarity for the mom or dad who usually handles the camera. Stay out of stores: If you really want to keep your souvenir shopping on a tight budget and save money, avoid going into stores. If you are on a ride that exits into a shop, and many do, keep the troops moving on through. There are ways to avoid additional unanticipated expenses that can blow your budget. Sign up online for My Disney Experience: Whether you go with a package or plan on your own, My Disney Experience is a great tool with an accompanying app that allows you to do a variety of things including connecting all your party members together for making reservations and getting Fast Passes. Bring aspirin, ibuprofen, battery chargers, and sunscreen: These are small items, but the cost adds up and drains your vacation fund. Bring a stroller: Park stroller rentals are very expensive. If you will be traveling with children up to age seven, consider bringing a foldable umbrella stroller. It will keep you from having to cut your day short if one of the little ones gets too tired. Borrow a guidebook: Friends, family, and even local libraries may have guidebooks to help you plan activities. Disney World has a lot of free, often over-looked gems that will set your vacation apart, and finding the free activities can mean you aren't spending elsewhere. 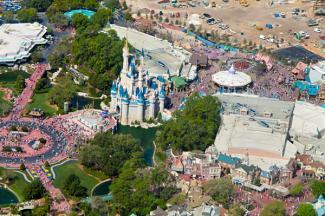 It is possible to strike a balance between enjoying a fabulous trip to Disney World and staying within your budget. With some careful planning and some solid resources, you can find many ways to have a Disney vacation that will live in everyone's memories without breaking your piggy bank.